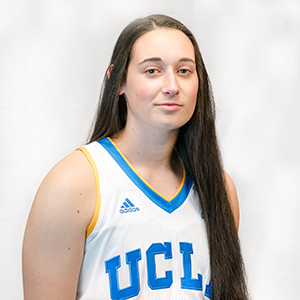 Ally Rosenblum was a prep All-American basketball player at Mater Dei in Santa Ana and accepted an athletic scholarship to UCLA. The California All-State player averaged 18 points and eight rebounds per game while leading her team into the state tournament. The 6-foot-4 center played this past summer for the Israeli Junior National Team and then played for UCLA on an international trip to Australia.